Miao & WafuPafu Comic Blog » Happy Chinese New Year to all!!! Posted on January 23, 2012 by Jian Akiraceo. 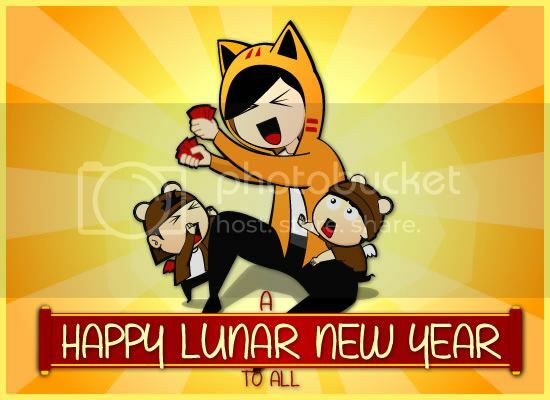 This entry was posted in Announcement and tagged happy chinese new year, happy lunar new year 2012. Bookmark the permalink. I see what you did there! Quite nice though considering you first time posting full size human rather then the usual chibi style. wah so cute la this one! esp human wafu pafu! I haven’t married so can’t give..
happy chinese new year miao~! !